When I visited Clissold House last year I was surprised to see a medieval-style castle looming over one end of the park. This architectural oddity is in fact the Stoke Newington Pumping Station – a Victorian era water pumping station built in the Scottish Baronial manner. 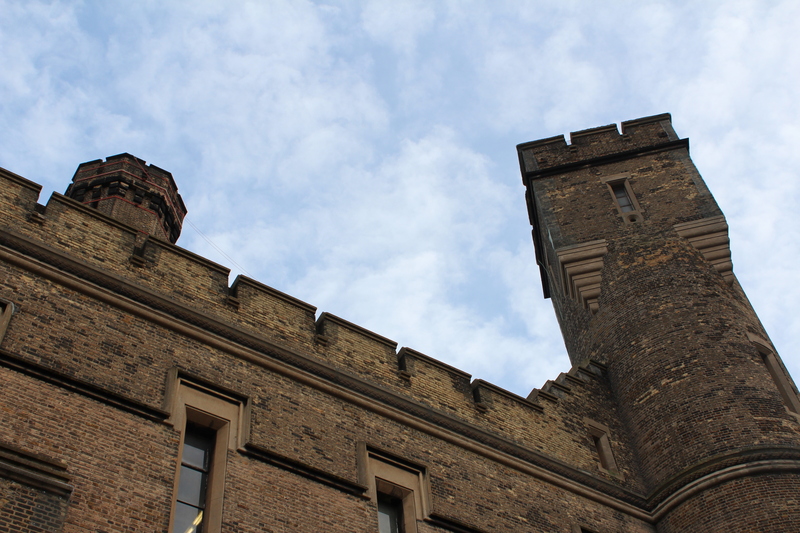 Although it ceased to operate by 1942 – and is now home to a climbing centre – its turrets and battlements remain thrusting into the sky, a testament to the Victorian zeal for industry and development and a love of all things flamboyant. The 1852 Metropolis Water Act requiring drinking water to be filtered and covered prompted its construction by the New River Company between 1852 and 1856, at a cost of £81,500. 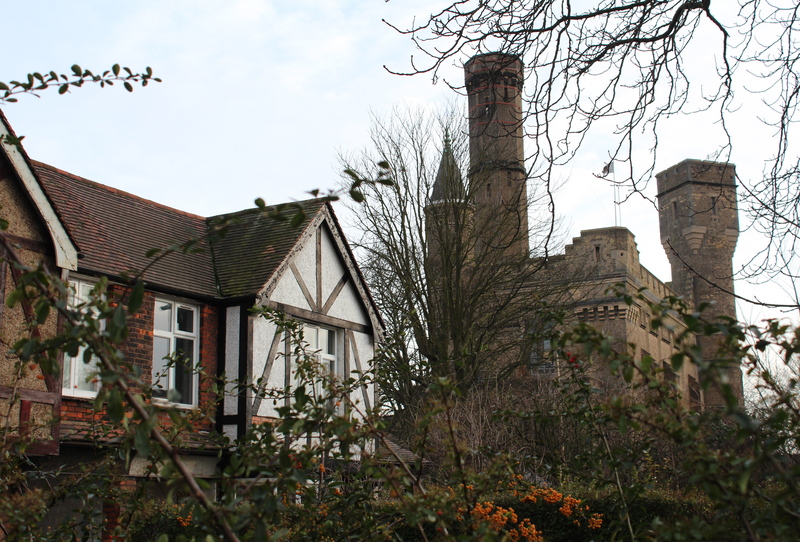 Although the area was composed mostly of fields at this stage, it’s thought that residents were not keen on the idea of an industrial building in the neighbourhood – hence the magnificent castle design by engineer William Chadwell Mylne and architect Robert William Billings. Possibly based on Stirling Castle (Mylne was Scottish and Billings an expert on historic Scottish buildings) – it’s also been suggested that the design might have been inspired by that of nearby Holloway Prison. Its superb position is partly due to the fact that it was built on an artificial mound, to give the sense of a castle within a moat. Although its striking towers and turrets appear quite random, they were each designed with a specific practical function – one housing a chimney shaft, another a water tank – while the turret with the conical roof contains a spiral staircase leading to the roof. The three front buttresses are home to a section of the tower’s flywheels. 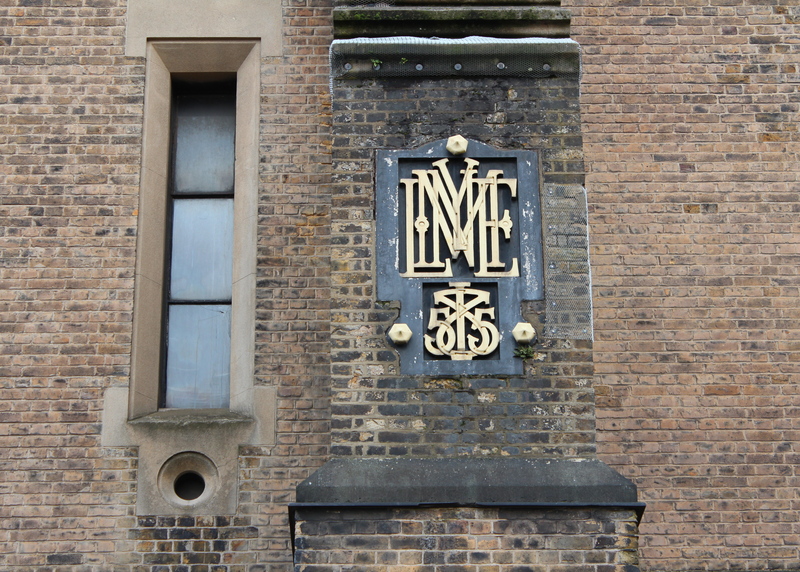 In a nice touch, Mylne’s name and the date 1855 are spelt out on iron plaques on the side of the buildings (see image below). The building was saved from demolition in 1971 following an outcry by local residents, and was Grade II listed in 1974. Despite this, it found itself facing an uncertain future yet again by 1988 with the imminent privatisation of the water industries. 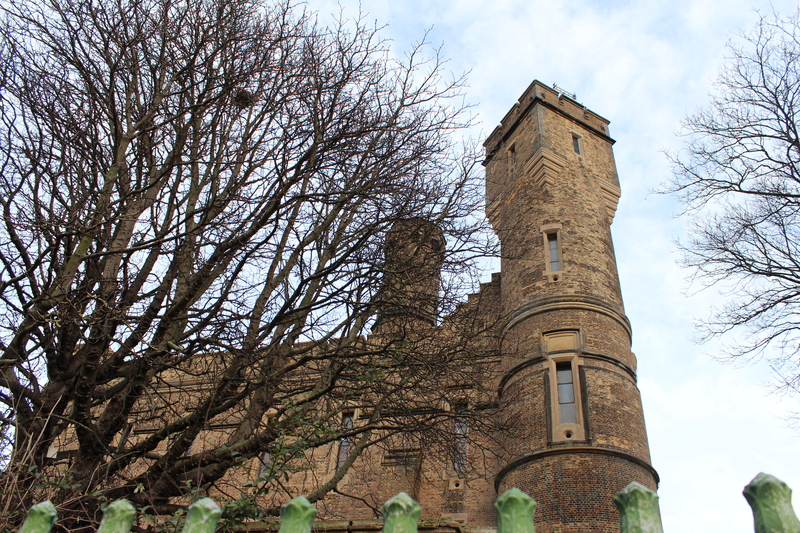 In 1994, planning permission was approved for redevelopment by its current tenants – the Castle Climbing Centre – under the proviso that the general appearance and character of the building would be retained and any items removed stored safely for future use. I would highly recommend a peak inside – the day I visited (on a weekend) it looked deserted from the outside, but once through the doors you find yourself in another world of brightly coloured walls covered with enthusiastic climbers. The centre’s plans for further redevelopment of the interior are posted on one of the walls along the main staircase. If you’d like to visit what must surely be one of London’s more unusual buildings, you can find it at 218 Green Lanes, N4 2HA. Manor House is the closest tube station. 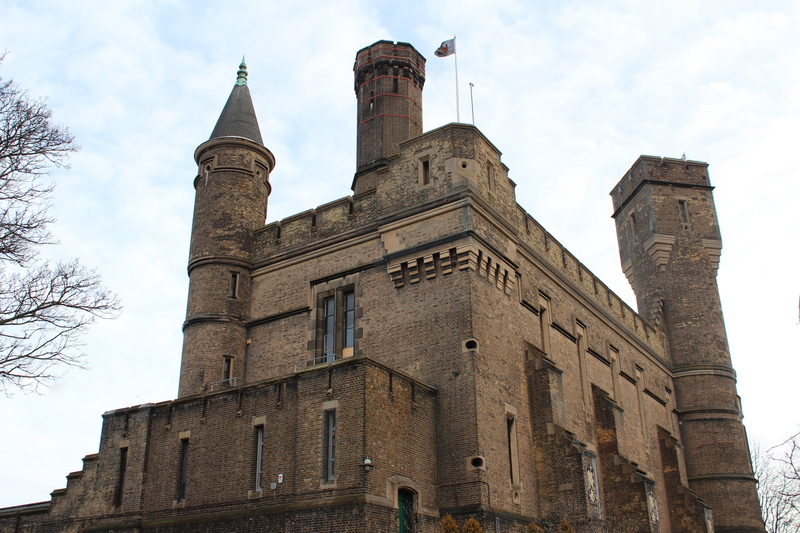 This entry was posted in Architecture, History/heritage, Quirky London and tagged Castle Climbing Centre, castle near Clissold Park, fake castles in London, London castles, London climbing centres, North London climbing centre, Stoke Newington Pumping Station by thelondonphile. Bookmark the permalink. This has always seemed a bizarre building looming by the busy road. I love the re-use as a climbing centre – equally bizarre! Excellent – I hadn’t heard of this before. Thanks for posting! Back in the day I worked on that site as a spark, have been on the roof many times. At the rear of the castle is where the standby generators were, they were Buckeye that came from landing craft . The New river terminates there now..